HOW DO YOU RUN FREE? NIKE CONTINUES TO INSPIRE A NEW WAY OF THINKING, INSPIRING RUNNERS THROUGH THEIR SOLID INNOVATION WRAPPED AROUND THIS CULTURE. ‘FREE YOUR RUN’ DELIVERED JUST THAT. WE ENGAGED THE NIKE RUNNING COMMUNITY TO SHARE HOW THEY RUN FREE + TO ELEVATE THEIR STORIES. TO HELP BUILD THE MOMENTUM + THE INTRIGUE THROUGHOUT THE 72 HOURS, WE SHARED CONTENT FROM OUR SOCIAL INFLUENCERS + MEDIA TAKING PART IN THE CHALLENGE TO SHARE THEIR FREE RUN. WE HOSTED OUR MEDIA GUESTS – ALONG WITH OLYMPIC ATHLETE HAMISH CARTER WHO NARRATED US THROUGH HIS OWN PERSONAL EXPERIENCE WITH NIKE FREE, ALONG WITH RACE DAY TIPS. GUESTS THEN STRAPPED ON THEIR NEW SHOES + JOINED MORE THAN 100 NIKE+ RUN CLUB MEMBERS ON AN EPIC RUN THROUGH THE STREETS OF AUCKLAND TO CELEBRATE THE LAUNCH OF THE LATEST NIKE FREE COLLECTION. 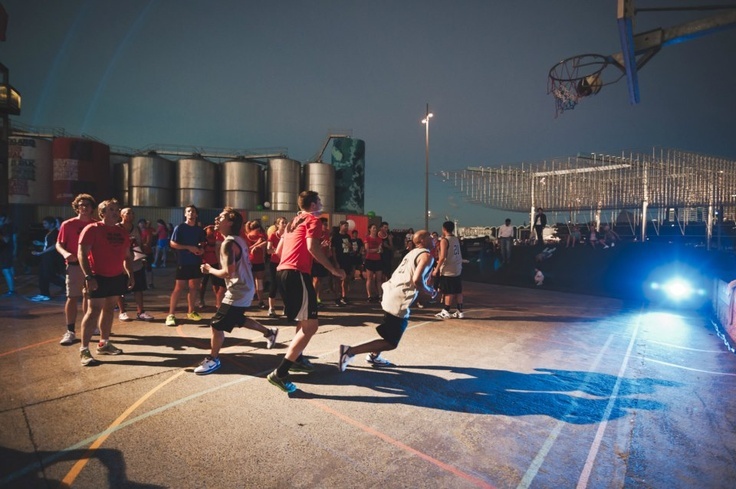 IT WOULDN’T BE A ‘RAW’ PROJECT WITHOUT THE ‘SHAREABLE’ DETAILS, SO WE CREATED A SERIES OF SURPRISES TO KEEP THE RUNNERS MOTIVATED INCLUDING PROJECTION ART PIECES, A 3-ON-3 BASKETBALL SHOWCASE, HIP HOP DANCE PERFORMANCES + A DOG-DASH (YES A DOG-DASH). THE EVENT GAINED MASSIVE TRACTION ON SOCIAL, AS WELL AS VIA OUR ACTIVELY ENGAGED MEDIA.